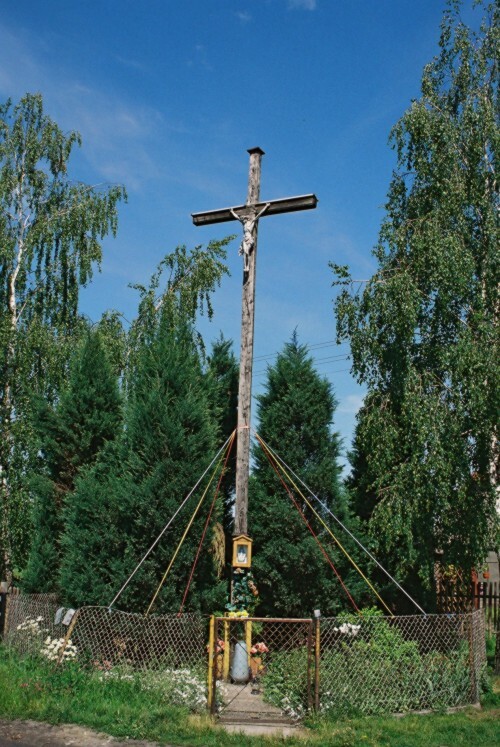 The wayside cross in Radziwiłłów. At the crossroads in Radziwiłłów near Gorzyce Wielkie there is a new cross. A tiny chapel with a porcelain statue of Mary hangs on it. A few years before World War Two there was pensive Sorrowful Christ in a similar chapel on the old cross. It was a small, approximately 30 cm high statue, which was carved by the wood-carver Paweł Bryliński. The fate of the figure stays unexplained. 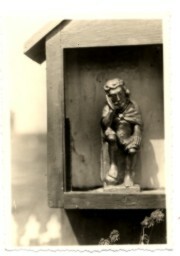 An archival image of Sorrowful Christ in the chapel on the cross.